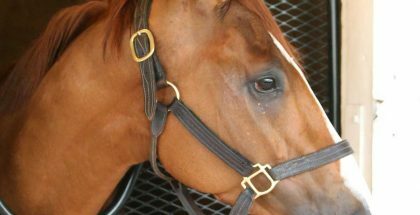 7 – Cloud Computing – Should stalk a good pace and take over the lead in the stretch drive to gain his first stakes victory, earning 100 points and qualifying for the Kentucky Derby. The Chad Brown trainee is coming off an excellent effort when second in the Grade 3 Gotham while making route and stakes debut in his second career start. Now switches to Irad Ortiz for this spot and shows good works. 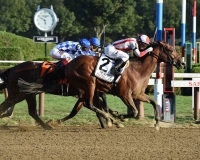 1 – Glennrichment – Rudy Rodriguez had entered him to run in the Gotham Stakes but then scratched to run net day, where he proceeded to break maiden. Drew the rail and has the tactical speed to last for a share versus these. 5 – Miss Sky Warrior – did not have an easy time but was still able to win the Grade 2 Davona Dale in her seasonal debut. She already has a victory over this course at this distance when she won the Grade 2 Demoiselle in November. She was further off the pace than usual in her last start but wth return to two turns, I can see or on or close to early pace. 8 – Tapped – returns to regular dirt after chasing the pace and finishing second in the California Oaks at Golden Gate. 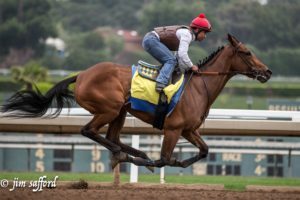 In her only career start on regular dirt while going a route, she set the pace before tiring to fourth in the Grade 1 Starlet in race won by Abel Tasman, even money morning line favorite in the Grade 1 Santa Anita Oaks today. 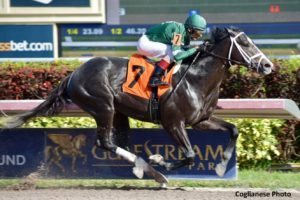 6 – Daddys Lil Darling – returns to dirt after showing some closing ability in the Grade 3 Florida Oaks. She was second as the favorite in the Grade 2 Golden Rod at Churchill Downs in previous start on dirt. 4 – Tapwrit – didn’t have the greatest trip when second McCraken in the Grade 3 Sam F Davis at Tampa Bay two back. 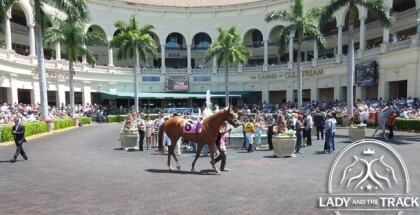 But then he put it all together and was an impressive winner of the Grade 2 Tampa Bay Derby as favorite. With the presence of McCraken, he should be an overlay here. 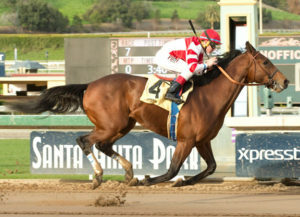 4 – Abel Tasman – was moved to the Baffert barn after finishing second to Unique Bella in the Grade Santa Ysabel. 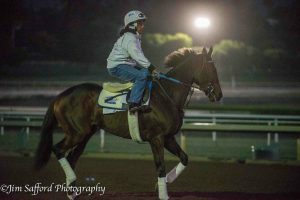 She has worked very well since then and now gets the services of the hottest jockey in the world, Mike Smith.